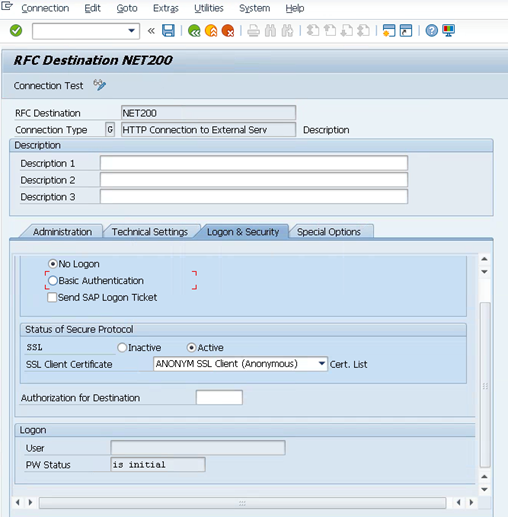 Panaya Success Center What are the guidelines for setting up HTTPS in your SAP server? 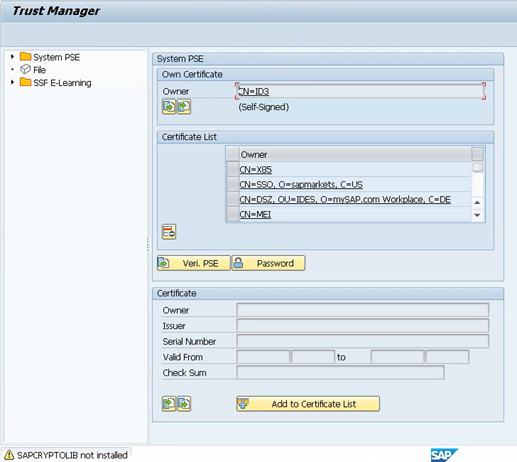 Setting up HTTPS for you SAP server is relevant if you wish to enable automatic custom code extraction and upload to Panaya. This article provides guidelines for setting up HTTPS. Please consult with your Basis Consultant before you proceed. The guidelines provided here are applicable for systems where SAPCRYPTOLIB is installed. 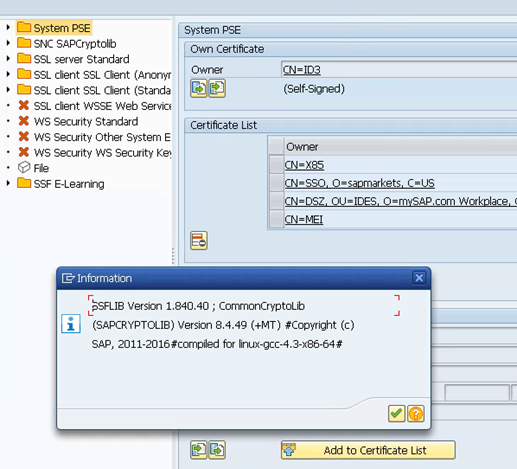 If SAPCRYPTOLIB is not installed, you can download and install 7.22 Kernel for SAP up to Netweaver 7.31 (ERP 6 EhP 6, CRM 7 EhP 2, SRM 7 EhP 2, SCM 7 EhP 2, and others). Then restart your system. 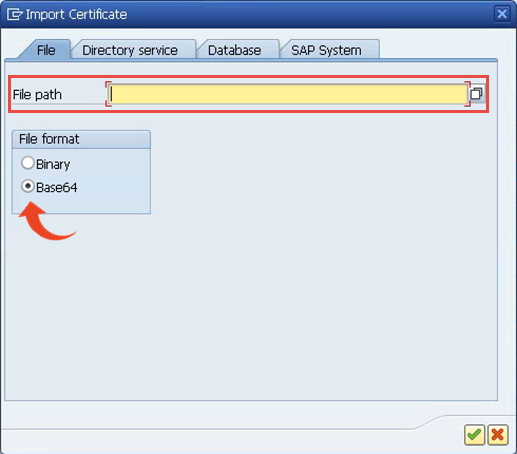 For systems where SAPCRYPTOLIB is installed, select the Environment and then Display SSF Version to view the version details. 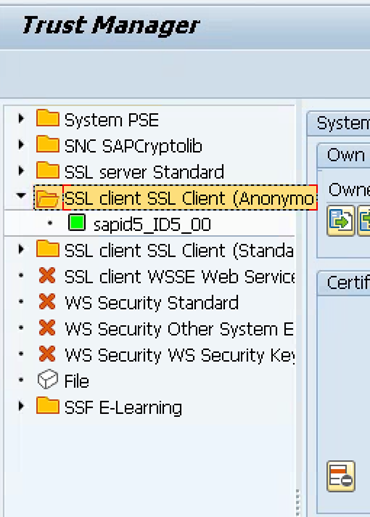 Double-click the name of the instance that shows under the SSL client identity (anonymous) folder, to display the contents of this PSE. Select the left button. Click the V icon to submit. 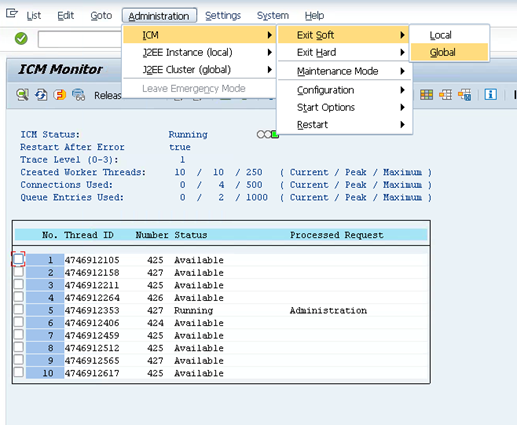 Older versions of SAP may prompt a notification that the ICM needs to be restarted in order for changes to take effect. In such cases, use TCOE SMICM as described below.